While the fire at the Bhiwandi godowns threatens to spread further to other nearby warehouses, the Mumbai fire assumes more threat as the factory is located in a residential complex. Two separate fire incidents were reported from Maharashtra on Sunday. In Bhiwandi, a fire engulfed at least 10 warehouses, destroying goods worth several lakhs of rupees. 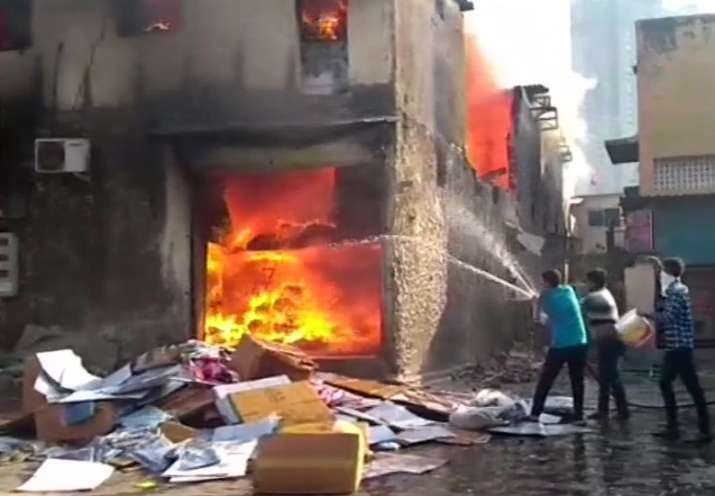 While in Mumbai, a level-2 blaze was reported from a cloth factory at Damu Nagar near MIDC bus stop in Kandivali (East). Four fire fighters each were rushed to the spots. Rescue ops for both incidents were on. There were no reports of casualties or injuries.